News and footage of unacceptable abuse has been filtering through from the Al Reef Cup – a CEN 120 Km Endurance Ride in Abu Dhabi. For starters, here’s the E, R, and Dsq list. One hundred started, only thirty finished, so 70% didn’t manage to complete. Scroll down to the charts at the bottom of the list link to see the numbers breakdown more readily. But that’s not the really bad news. There are three reported fatalities, one of which has been confirmed as a 12 yo bay/brown horse called Splitters Creek Bundy. Fei number 102MG61. Standard bred arab cross, ridden by Humaid Matar Eid Juma Alkoas Al Falasi, bib 110. This is his FEI record – surely the indications are there that he should no longer be being asked to compete 120 rides given he FTC (failed to complete) with lameness as the reason in his last 3 FEI starts? 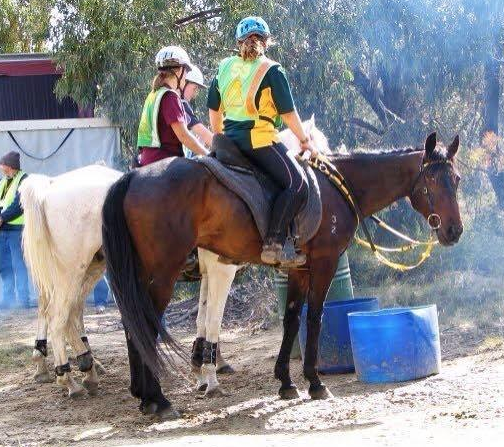 Previous to his sale to the UAE, Bundy completed 6 x 80km rides, 1 x 100km ride, and the 2009 Tom Quilty Gold Cup ride of 160km, so was clearly sound, tough and capable of competing at top distances with correct care and management. The photo at the top is him during the Quilty Gold Cup. Happy, interested, relaxed wearing basic tack. So why did he have to be kitted with blinkers and all sorts of additional tack for this race? What basic needs were not met for THIS BELOW happen to Bundy after less than 80 km? This is one of the most sickening pictures ever. Information coming from sources at the race suggest that Bundy went down on the flat near the end of the second loop and broke both front legs. And worse, unbelievably, all the crews following the race (the cars seen in the photos) ignored the horse on the ground and carried on. He was left there collapsed until finally, after 20 minutes another vet arrived to release the horse from his misery and euthanase him. The adrenaline will have long left this horse. He will have suffered greatly. These horses seem to be nothing more than disposable non-sentient racing machines to the riders competing in the UAE. Many of the participating riders have just learned to canter and are then competing for their ‘stables’ with no idea of the care necessary to navigate varying terrains successfully, with no idea of the limits of the horse they are sitting on and no idea how capable the horse is underneath them. Winning is about the fastest across the line, and with speeds averaging 27 km/h winning is all, not the care of the horse, of course horses are going to suffer and die. Apparently, many of the FTC (failed to complete) horses never see a vet post race, so there are no records detailing whether these animals are dead, collapsed with exhaustion, injured badly or just very tired. What happens to the corpses is also unknown. Some horses are never seen again after the start of the race. Here’s a bit of history on Bundy: he was sold in late 2009 to Seeh Al Salam Endurance Stables, owned by SHEIK HAMDAN BIN RASHID AL MAKTOUM, a big player in British racing and well known and much feted on British racecourses. Racehorses such as Nashwan have raced in his colours. He is the owner of Shadwell Stud. What has happened to Bundy is horrific, and looking at the pictures is sickening. 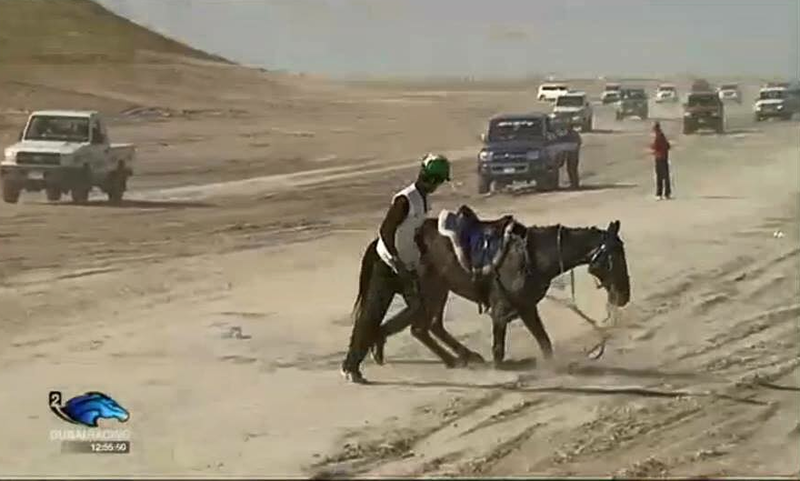 But because this was caught on camera and cannot be covered up, maybe this poor horse’s fate can help make some changes to the carnage currently happening in the Group 7 countries. Given the Group 7 countries records of administered drug charges and bans, this article detailing reasons for breakdowns in horses is worth a look. Based on US thoroughbreds, but the same equine as the endurance horse. 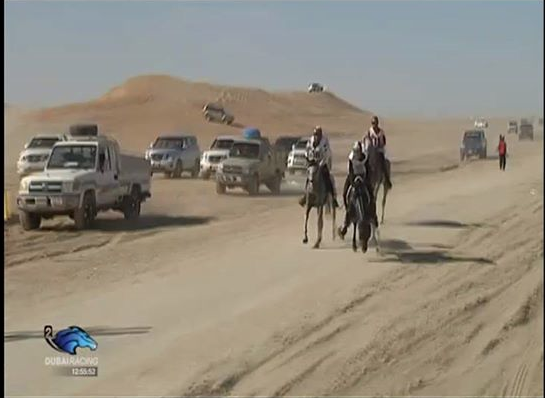 The Equine industry has to stop fawning over the Arab dollar and to stand up for what is right for the horses. Otherwise we are as culpable as they are. Go free, Bundy. You have wings now. We need to fight for the others.